YIPPE! We are so pumped that you are thinking of coming to Charleston, SC for your bachelorette party weekend! 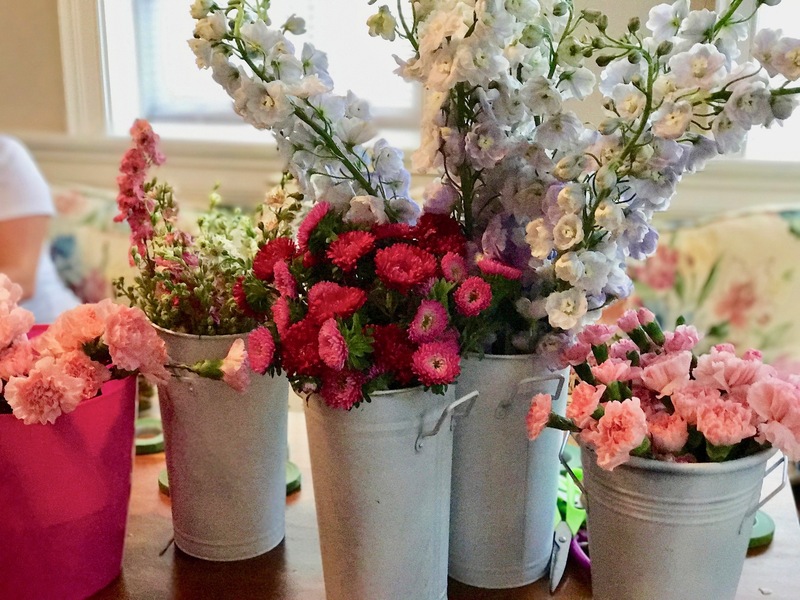 You might have some questions about what goes into a flower party when hosting a Charleston bachelorette party so we thought we would try and answer those for you off the bat. We get requests for bachelorette party groups coming to Charleston, SC every week. 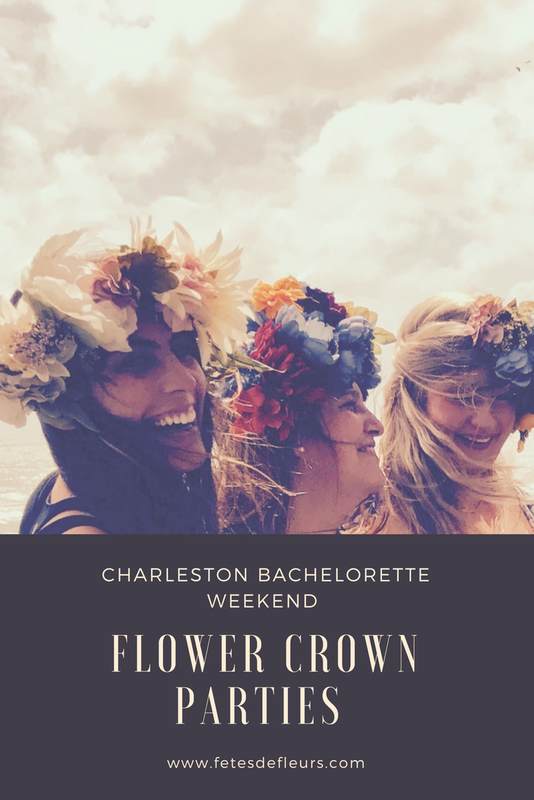 We tend to do 3-4 flower parties a weekend so we thought you might want to hear some answers to commonly asked questions from bachelorette groups planning their Charleston bachelorette weekend. Please inquire as soon as you know you are thinking of coming to the Charleston area for the bachelorette party weekend because we can only do so many parties in one weekend. 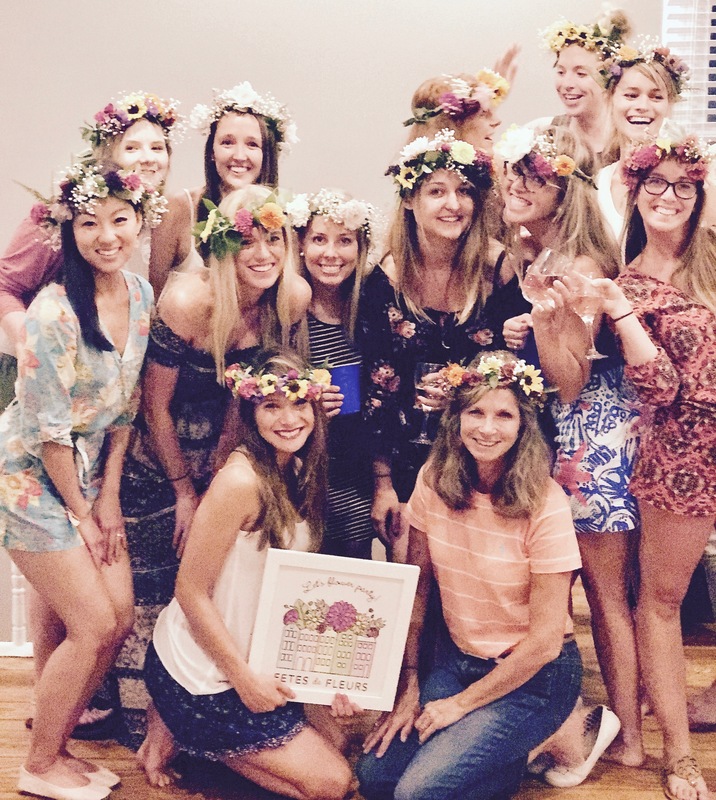 We want to help all the beautiful bachelorette parties coming to Charleston look their best with flower crowns from Fetes de Fleurs. We hope this post answers your questions but if you have any others please email us at ali@fetesdefleurs.com. 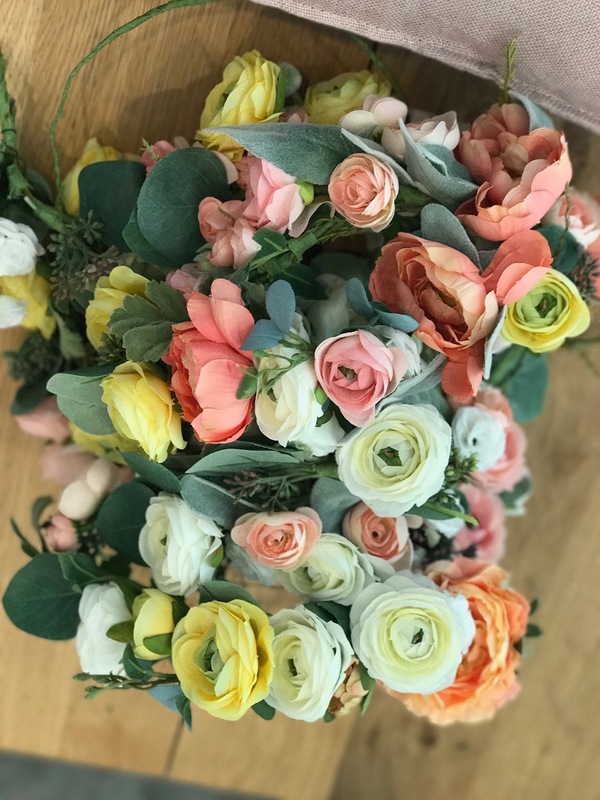 When requests come in for flower crowns for a special day like a bachelorette party, a wedding, an event that wants a flower crown bar, a festival, whatever it is... People tend to sway towards real flowers. Thinking of coming to Charleston, SC area for your bachelorette party or for a ladies weekend away? 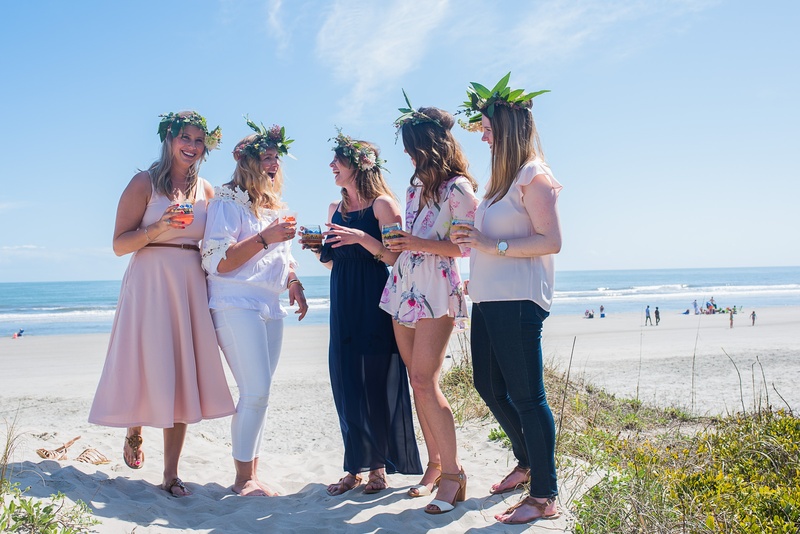 We have the perfect activity for your ladies weekend in Charleston. Bachelorette parties can be somewhat overwhelming...but that's only if you make them that way. Bachelorette parties should be FUN! They should be a fun weekend for the bride, the bridesmaids and any friends that join in! Don't let the bachelorette party planning get you down and put a damper on the weekend ahead. 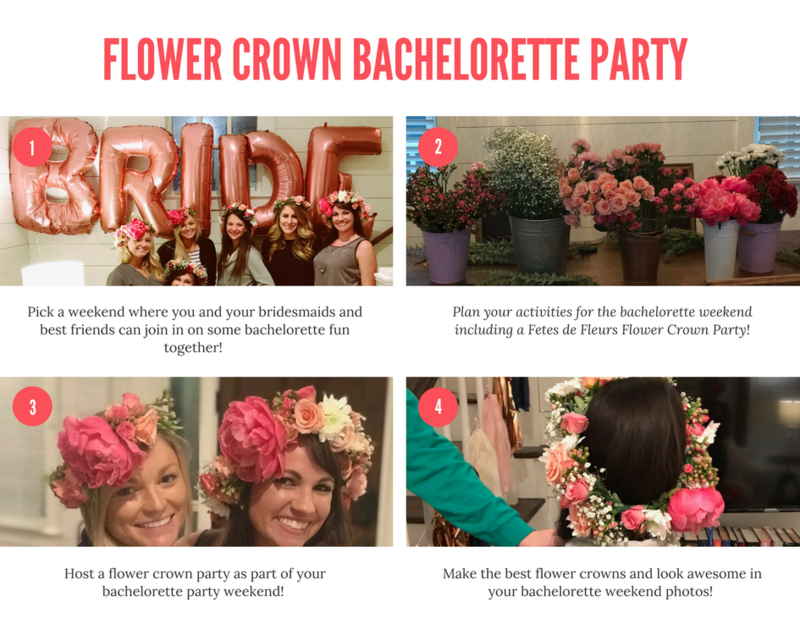 One way to ease the pain of planning is to incorporate ways that the bachelorette weekend plans or events throughout the bachelorette weekend can couple up with bachelorette party gifts at the end of the weekend for your guests to take home. Do you want a hair piece made of flowers or greenery for your wedding? Do you want a wedding flower crown for yourself as the bride-to-be, your bridesmaids or your flower girls? 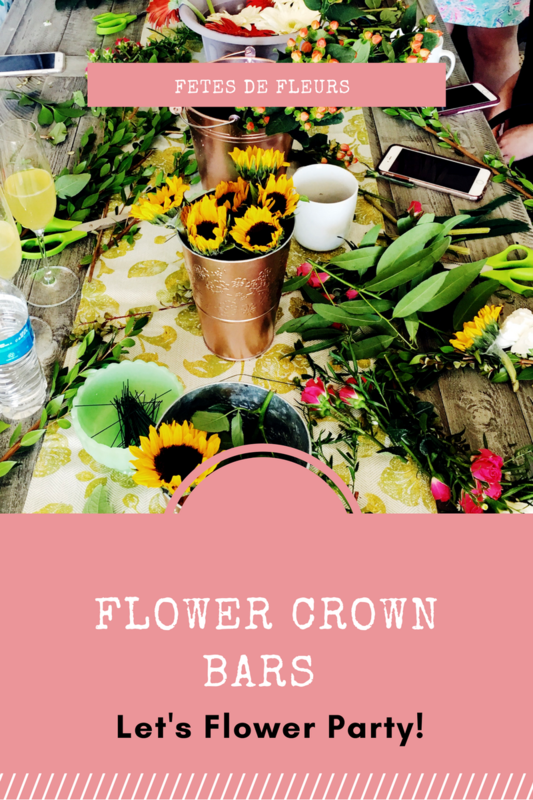 There are so many fun and simple ways we can incorporate real or faux flowers into your special celebration for your wedding day or your bridal shower. 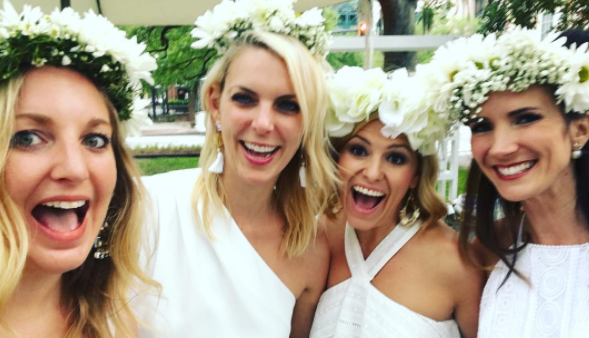 Thinking of coming to the fine city of Charleston, SC for your bachelorette party? 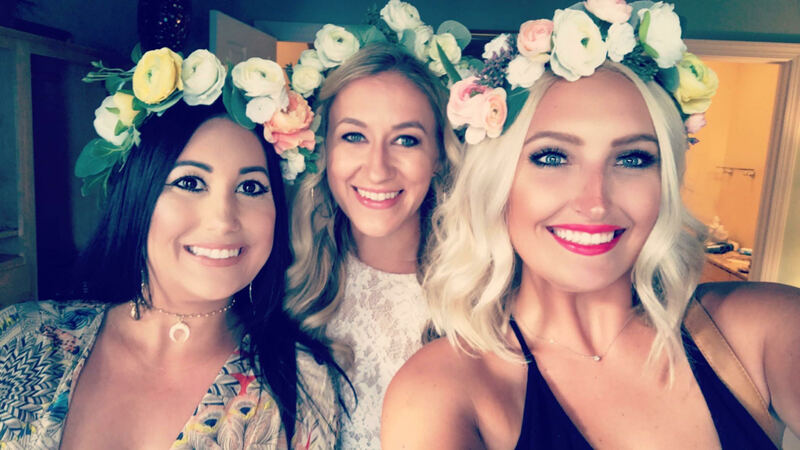 Here are my tips for if you are thinking of coming to Charleston, SC area for your bachelorette party.